Single Premiere: LLOLLYANNA | Goodbye Roby. WTSH is especially pleased to offer this exclusive premiere of “Goodbye Roby”, the latest single from the somewhat cryptic New York City venture LLOLLYANNA. This project first crossed our radar by way of December’s ingenious “Down by Design”. Like its predecessor, “Goodbye Roby” takes various ‘gaze values—distortion, reverb, haze—and pushes them, as one might say, “up to eleven.” In the resulting sonic mayhem, a barbed guitar line provides canvas for catchy, pretty pop melodies while boomed arpeggios and thunderous percussion shake the sock-hop dance floor to a point just short of rupture and collapse. It’s a veritable pop storm, or perhaps a pop quake: if we were a pinball machine, we’d be crying “TILT!”, but in a good way. The artist lets us in on the fact that “Goodbye Roby” takes inspiration from the Dion classic “Runaround Sue”. “Demo versions had lots of ‘Hey hey bum day day day day hey heys,’” he tells us. “I took them out because they never mixed right. But basically that’s it. A Dion song that would rip your head off.” Some of the melodies remind us of The Beach Boys, an influence the artist also acknowledges. “Goodbye Roby” will lead off an upcoming EP called Tarot Waltz. More on LLOLLYANNA very soon. 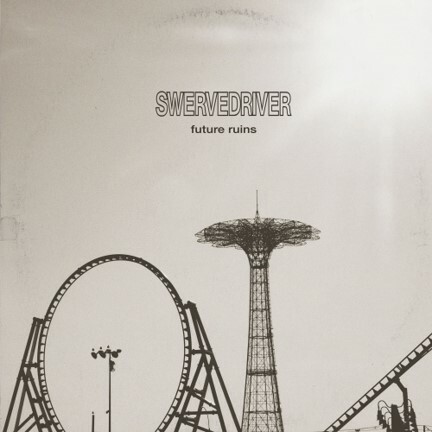 ALBUM REVIEW: Swervedriver | Future Ruins. Reviewed by Elizabeth Klisiewicz. It’s so great to have a new Swervedriver album, Future Ruins, released today on Dangerbird Records. It’s like the Yule season has been extended for another round of gifts, and Adam Franklin and his bandmates have crafted another terrific record. It’s chock full of gorgeous hazy melodies and exquisite guitar lines courtesy of Franklin and his partner in crime, Jimmy Hartridge. These guys just keeping popping songs out of sterling quality, making it look dead simple when we know it’s not. I had the great privilege of seeing them perform on their last tour, and can only say that you owe it to yourself to get out there and see them on their upcoming tour. If this record is any indication, those live shows are going to be immense. So what of the album? Well, it’s magical and stirring. It puts me in a headspace removed from the current stream of time. I don’t really know how to explain it. The opening track “Mary Winter” just crushes it, I really dig the opening salvo of drums, bass, and guitar. It flows into a majestic melody with some trippy vocal lines. I find myself listening to it on repeat, and it mesmerizes me every time. It’s not a joyful song in the least. It reeks of escapism and outer space and offers bleak thoughts like, ‘Been floatin’ out here so long, And you know I'm not coming down, With planet earth long gone’. I cannot help but think at the rate we are destroying the planet, there will be nothing left within a hundred years. As I said, not a happy tune, but a startlingly beautiful one. The follow up tune “The Lonely Crowd Fades in the Air” is stunning, and my favorite of this set. 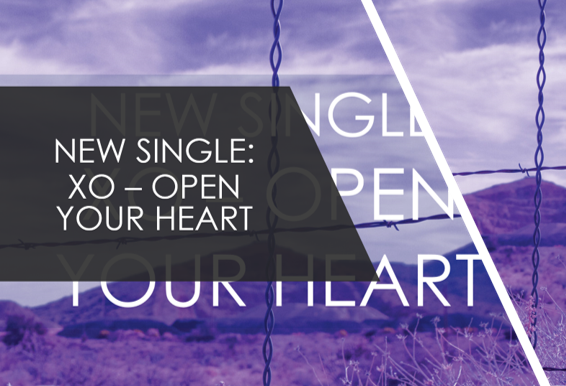 The opening guitars mesh tightly before the rhythm section kicks in and the song blasts off with a massive hook that will swallow you whole. As their press release notes, it sounds like an elegy, perhaps a sad tribute to days gone by as Franklin emotes, ‘Choose your colors wisely/Because things ain’t the same as in days gone by’. Just gorgeous through and through. The title track is slower and ominous, and could easily be talking about the state of affairs in the US or the UK: ‘We are ruled by fools/These are future ruins/That the king is insane/Is now old news.’ I like the pensive, somber overtones and the shimmering organ washing through the mix. Terrific, but rather despondent. “Theeascending” mixes spaced out sonics with a somewhat upbeat melody, but when you dig in a bit, you realize nothing is as it seems. “Drone Lover” predates the last album and is a comment on the depersonalized nature of 21st century techno-warfare. It has the requisite elements we all love about Swervedriver: sharp observations and excellent melodies. 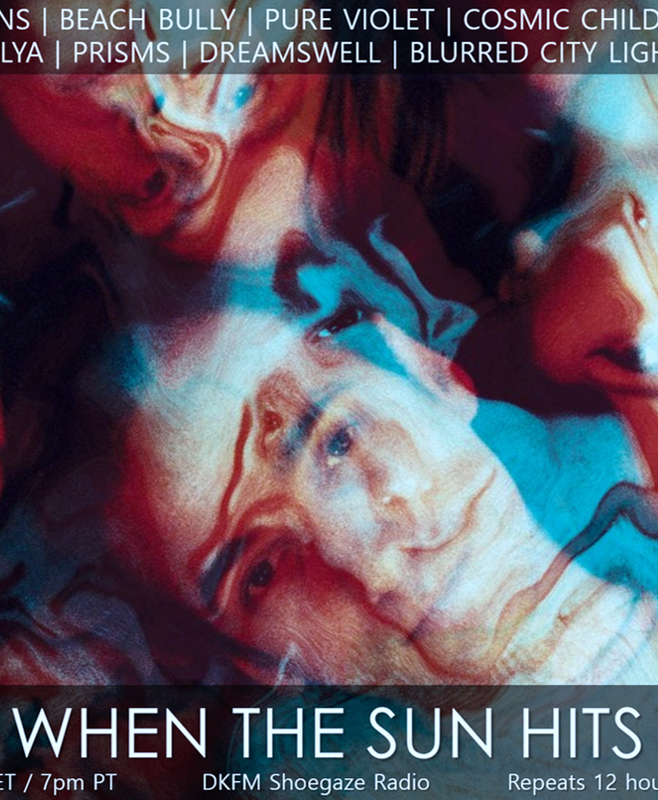 “Spiked Flower” is an unexpected treat, a psych pop tune with a light, airy feel. Definitely one of my picks for the top song on this record. “Everybody’s Going Somewhere and No One’s Going Anywhere’ is spoken words coupled with a spaced-out backdrop and some lovely keyboard. “Golden Remedy’ is not as immediately gratifying as earlier songs, but stick with it and you’ll appreciate its intricate song structure and how deftly all the instruments are woven into the mix. “Good Times Are So Hard To Follow” is another fine song with beautiful instrumental passages, while the final “Radio-Silent” meanders out to seven minutes and could perhaps use some editing. It’s certainly pretty, but not as concise or hard-hitting as some of the other songs. In summary, this is a great record from a long-time favorite group of mine and is well worth picking up.